Awarded two Michelin stars, quadruple winner of the Great British menu, caterer to the Queen and concord, Richard Corrigan’s passion for seasonal food is matched only by his enthusiasm for ingredients sourced in Britain and Ireland. His approach is defined by his belief in good hospitality coupled with excellent food - food that is sourced as locally as possible and from individuals rather than large companies. Richard’s culinary career, in brief, spans several years in the Netherlands, head chef of Mulligan’s in Mayfair in London and his first Michelin star, awarded to him when he was head chef of Fulham Road in Fulham in 1994, also in London. 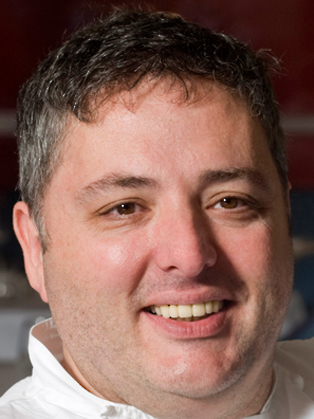 Richard went on to open Lindsay House in Soho, London, and won a Michelin star there in 1997. He then bought and refurbished Bentley’s in 2005, an oyster and seafood restaurant just off Piccadilly. He went on to open Corrigan’s Mayfair in 2008, Bentley’s Sea Grill at Harrod’s was his next venture in 2012 and most recently, in 2013 the Virginia Park Lodge in Ireland. Richard’s media career is wide and varied. He was crowned winner of the Great British menu no less than three times. Richard also won the recent Great British Waste Menu special, airing to over 7 million on BBC 1 prime time and which culminated in a dinner at the House of Lords. Alongside appearances on BBC2’s Great British Food Revival (BBC 2), Full on Food, Saturday Kitchen (BBC 1), Market Kitchen (UKTV), Something for the Weekend (BBC 2) and The Wright Stuff (Channel 5), Richard has also hosted the Irish primetime television series, Corrigan Knows Food, one of Ireland’s most popular TV shows. Richard is the author of The Clatter of Forks and Spoons, a personal history of growing up in Ireland and recipes inspired by his rural upbringing.